Sometimes health and safety regulations get a bad name for being overly cautious. Regardless of your feelings on charity shops removing knitting needles from their shelves for ‘health and safety reasons’, most people would agree that tactile warning labels are an example of how legislation can be beneficial. You’ve probably seen the distinctive orange warning triangle labels on hazardous chemicals, such as household bleach. What you might not have noticed are the raised transparent triangles that make these warnings accessible to those with visual impairments – in a way, a form of Braille. The raised triangles can be bought as stickers, or imprinted on the container when manufactured, and are required by European law. 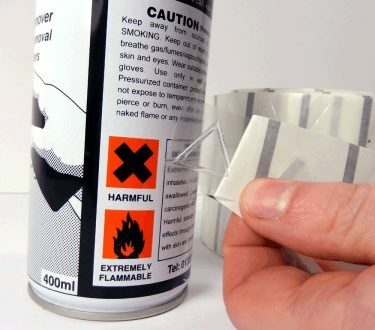 Tactile labels can be found on all hazardous chemicals that are labelled: ‘irritant’, ‘corrosive’, ‘flammable’, and others. In the home, you might have a bottle of bleach or oven spray that carries the label. The symbols are primarily used for products in the chemical industry and in laboratories, where the strength and quantity of hazardous materials is more likely to make them a danger. Perhaps surprisingly, this European regulation was never actually law, with member states signing up to it on a voluntary basis. In 2015, things changed a little and now the legislation is ingrained in European law, so all members of the European Union must comply. This means there’s no need for individual countries to pass legislation through parliament, standardising the industry. The legal process requires jumping through hoops, but all countries and manufacturers agree how important it is to have standard packaging and labelling. 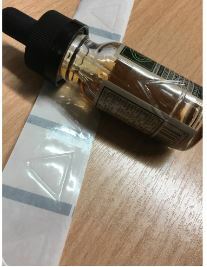 If you are looking for Hazard Triangle Warning Labels, then take a look at what we can provide you with Sticky Labels. As an added benefit our labels are transparent they can be stuck with an existing label or printing information without obscuring what lies beneath.